*Lewan Technology is a subsidiary of Global Imaging Systems - a Xerox company and looking for professionals interested in CO, NM & WY Tech Sales. At Lewan, we do not fill empty seats... We hire and develop future leaders! 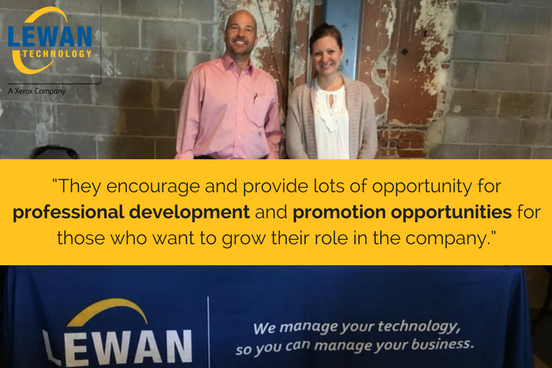 Lewan Technology believes in building strong professional relationships from the inside out as the best way to serve our employees and customers alike. We share a passion for working together in helping our clients by managing their technology so they can focus on managing their business. If you value hard work and accountability, have a collaborative spirit, a passion for serving others, and want to contribute to our cause, call us to discuss an exciting career opportunity in office technology. Lewan Technology is looking for professionals interested in CO, NM & WY Tech Sales. Our suite of benefits helps you keep a great work/life balance, which we consider one of the best reasons to work at Lewan! Lucrative monthly commission structure, incentive and bonus programs. Full benefit package including medical, dental and vision coverage. Life and disability insurance plans. Opportunity to qualify for annual President's Club trip and other incentive trips. Continuing education and ongoing training opportunities to support skill growth and career advancement. As a Lewan Outside Sales Account Executive you will be responsible for gaining new market share while retaining and growing current accounts. Strong people skills, organizational skills, reliability, professionalism and self-motivation are a must. Manage entire sales cycle across customer accounts. BS/BA degree in business or other related field/Or equivalent work in sales experience. Previous sales experience preferred, but not required. We provide training, mentoring and coaching to all of our new Sales Executives. Proficiency using Microsoft Office (PowerPoint, Word, Excel and Outlook). Competitive drive and self-motivation to achieve. Ability to work collaboratively and effectively in a team-oriented environment. Ability to influence, negotiate and gain commitment at all organizational levels. Demonstrated flexibility and adaptability; willingness to take risks and try new approaches. Must have valid driver's license, motor vehicle and auto insurance coverage. We are a local office technology and managed service provider supporting Colorado, Wyoming, New Mexico and the Rocky Mountain Region since 1972. Our print management solutions and IT services teams deliver extraordinary expertise and offer a single source for our customers' printing, document workflow, technology solutions and IT support needs. Our unique business model provides the benefits of both local decision making and the backing of Xerox, a Fortune 500 global technology leader. Our team of sales, service and support staff make us great. 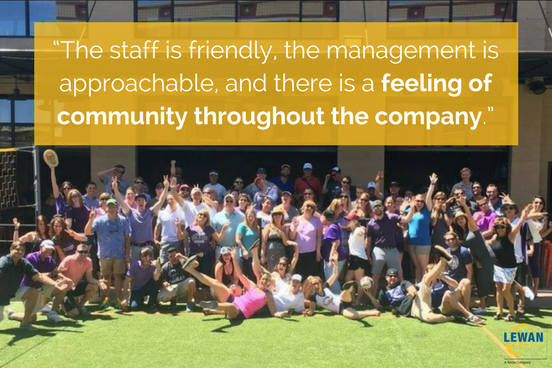 We believe work life balance and a positive, fun and encouraging work environment are the keys to employee and company success. Lewan employees are passionate about providing a world class customer experience, challenging themselves and supporting each other. Lewan Technology is an equal opportunity employer. Don't see the right job opening for you? Not job seeking quite yet? Join our Talent Network and stay connected with our recruiting team for future opportunities. If you are interested in different sales opportunities, read about other Xerox subsidiaries in other parts of the country.